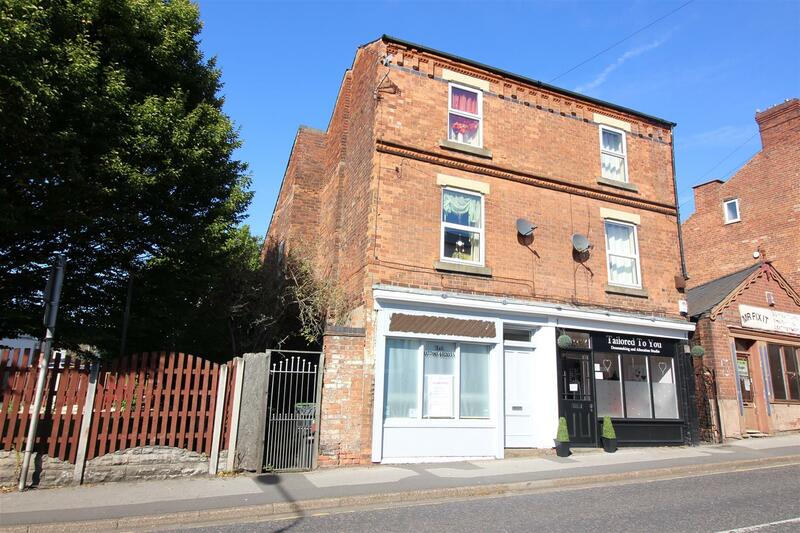 Price Guide £100,000 – An opportunity to purchase a semi detached freehold building with self-contained ground floor commercial unit with vacant possession, previously a salon and duplex self-contained flat let at £400.00 pcm. Great investment opportunity. AN OPPORTUNITY HAS ARISEN TO PURCHASE A FREEHOLD SEMI DETACHED THREE STOREY BUILDING WHICH IS CURRENTLY SPLIT INTO RESIDENTIAL AND COMMERCIAL USAGE. 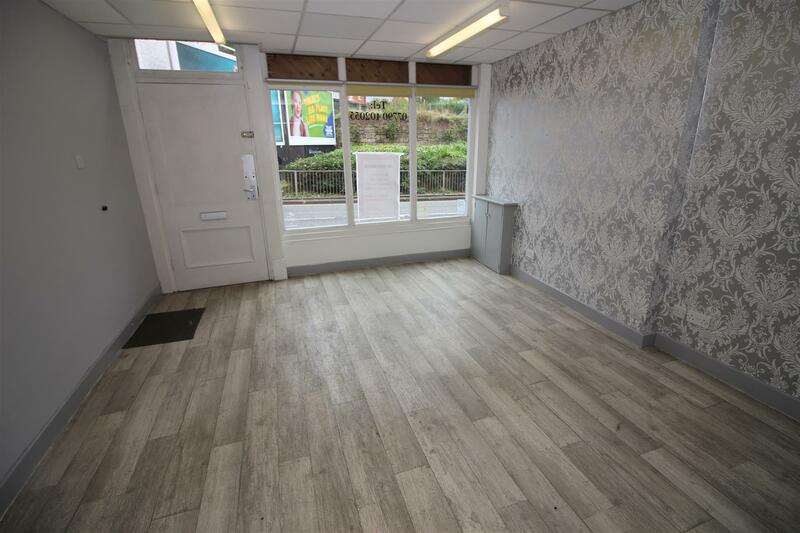 The ground floor is a self-contained lock-up shop with vacant possession, previously a hairdressing salon and offering a high profile frontage with a front salon/retail space of 16.24 m² (175 ft²) and additional rear office/store room of 10.9 m² (117 ft²) and a shower room/w.c. Over the first and second floor of this building sits a self-contained two bedroom flat with pedestrian access to the rear, which is currently let on an AST at £325 pcm. Situated to the west side of Stapleford town centre, offering a variety of independent and national retailers as well as public house, bars and cafès. There is regular public transport running through the town, linking Nottingham and Derby. A great investment opportunity or equally suited to those wishing to buy a freehold to run their own business to the ground floor and a generated income from the residential element. The current vendor is also selling 15 Nottingham Road, which is a single storey lock-up commercial unit offering approximately 184 m² (200 ft²) of space and is freehold with vacant possession at a price guide of £40,000. Further information is available upon request. Doors to shower room and rear office/store. Door and window to rear yard. Incorporating three piece suite comprising wash hand basin, low flush w.c. and shower cubicle. With door and staircase leading to the second floor and door to kitchen. Range of wall and base units with work surfacing and stainless steel sink unit with single drainer. Window to rear. 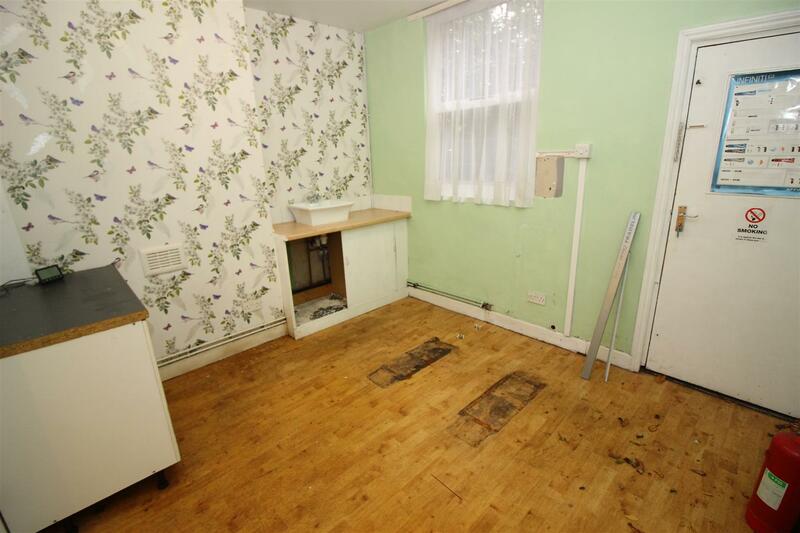 Built-in airing cupboard, doors to lounge and bathroom. Night storage heater and double glazed window to the front. Incorporating a three piece suite comprising pedestal wash hand basin, low flush w.c. and panel bath. Window. Electric night storage heater and window to front. The ground floor commercial unit is currently vacant. 11a, a self-contained two bedroom flat is for sale subject to an assured shorthold tenancy agreement currently producing £325.00 pcm. 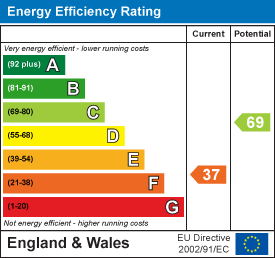 From our Stapleford branch on Derby Road, proceed to The Roach traffic lights. Continue over into Nottingham Road where the property can be found on the left hand side, identified by our For Sale Board.